Wanna Know What REALLY Aggravates Lung Cancer Advocates? Why Would A Stage 4 Patient Go OFF Treatment? 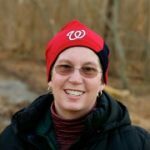 Lung Cancer and Baseball – An Unlikely Marriage? What the Heck is a Lung Cancer PRO? Are We Only Speaking to the Choir?